Community Event | GLOBAL SHYNE INC. 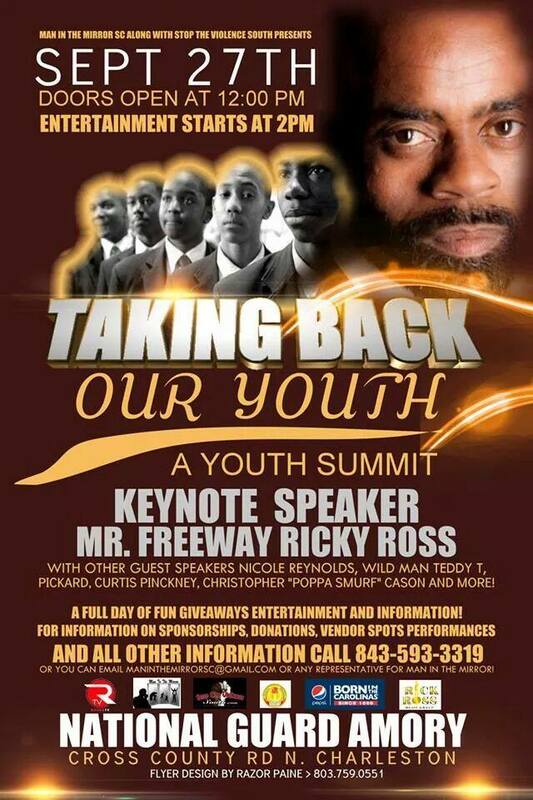 This is in reference to a request for sponsorship for the upcoming community event “Taking Back Our Youth”. The purpose of this event is to address some of the issues facing our children today. With gun violence, gangs, and overall crime on the raise, this is a much-needed event. At the end of this event we hope to have succeeded in helping find answers to their issues they may not have known before. Sponsorship packages, and a brief presentation is available upon request. This event is targeting the whole family, but mainly focusing on ages 13 to 25. We are working with the police departments, parole board, Department of Juvenile Justice and the cities of North Charleston, Goose Creek, Summerville and surrounding area. We look forward to discuss the proposal and finalization of the modules as per your interest and requirement and we look forward to a great turn out.